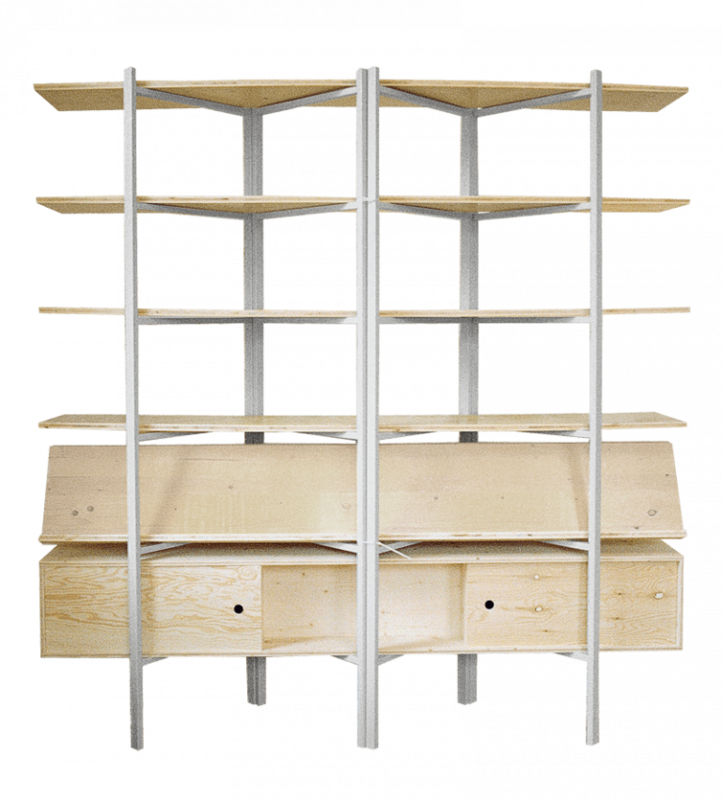 Bookshelves are the skeleton of a library, composing a library’s infrastructural and navigational support. Designed by Studio Manuel Raeder, the Z-bookshelf consists of four powder coated steel ladders held together with cable ties. 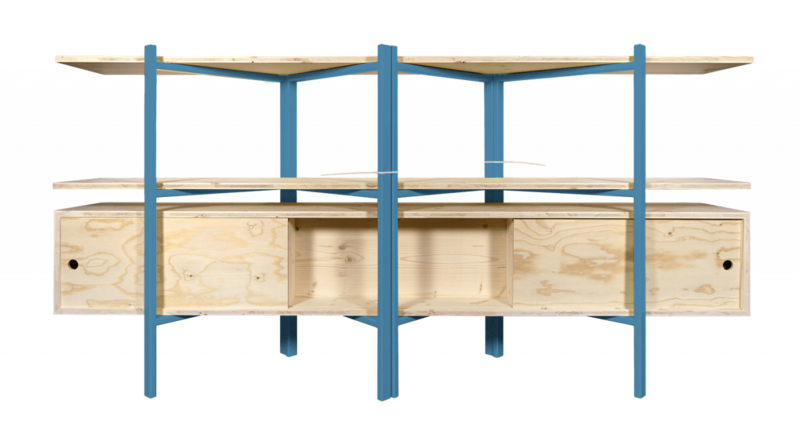 The bookshelf is easily assembled and can be used from both sides. 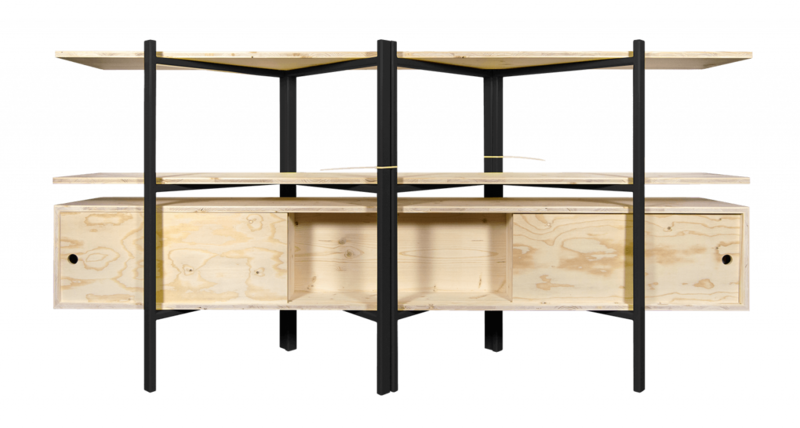 The bookshelf can be ordered with interchangeable shelving inserts – a wooden case complete with sliding doors and a V-shaped book holder that can be inverted and used as a lectern.